Fonts are shown in stitch format. Please look over every symbol to make sure it is the look you want. 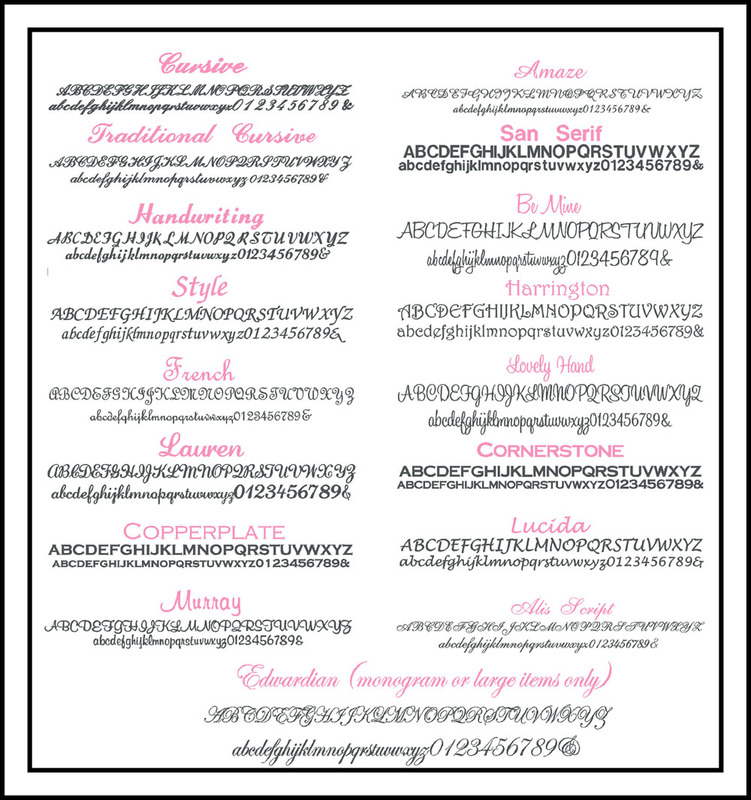 If you choose a font that will not work for your particular item, we will contact you for a second choice. Not all fonts will work for garter buttons. The more initials there are on the button, the fewer fonts there are that will work. For instance, most fonts will work fine for one initial button, but not three initial buttons. Sizes are not relative to each other. 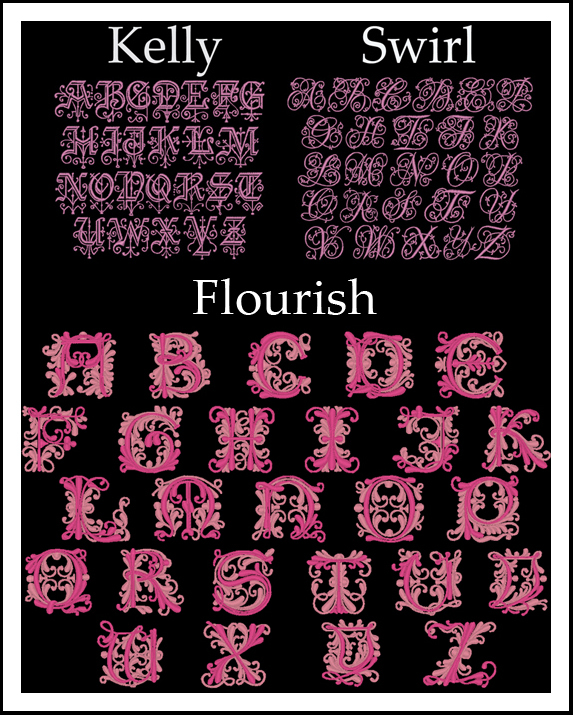 Fonts can be done in any color(s).